Are you struggling to get traction for your business on Instagram? Have you tried running ads but didn’t see a positive return on your spend? In this article, we’re looking at three brands that found a huge amount of success running ads on Instagram. I pick apart what they wanted to achieve, how they did it, and how you can use the same strategy for your business. As you’ll see, each of these businesses had a clear vision of what they wanted to achieve when promoting their business on Instagram. They utilized the tools Instagram provides to target the right viewers, added some of their own creative flairs, and leveraged the huge userbase that’s waiting to be served the information they want to see. If you’re short of ideas and inspiration of which direction to take your business on Instagram, these case studies should give you more than enough inspiration and ideas to get started. Renault is one of the largest car manufacturers in France. They are a household name across most of the world and have been making cars for almost 120 years. With a new model, the Twingo Midnight being launched in 2017, Renault decided to be one of the first notable brands to use Instagram Stories to promote their new model. Their goals were to market the Twingo Midnight to a younger demographic and at the same time change their brand perception to match up with what this demographic is looking for. They achieved their desired results by producing Stories that gave viewers a look inside and outside of their new model while using the contrast of just black and white in their ad. The result was a modern, intriguing, creative style of ad that resonated with a large number of the 18-24 year old Instagrams users. If you watch the ad you’ll see how they carefully show the curves of the bodywork when panning across the exterior of the car, and use close-ups of the interior to give the viewer an introspective “seat” in the vehicle. They saw a 3-point increase in incremental awareness of their brand and new vehicle amongst men aged 18-24. They also saw a 4-point increase in favorability amongst women aged 18-24. They had a 9-point lift in ad recall. As you can see from the results, their ad campaigns successfully not only reached the 18-24 demographic of both men and women, it had a hugely positive impact on those that saw it. Their Twingo Midnight model is a small car. It’s aimed at the younger generation that wants a small, modern town car, so it was important they hit these age ranges and Instagram allowed them to do that. Overstock is a US-based online retailer. They started out selling surplus and returned merchandise when they opened their doors in 1999, hence their name “Overstock,” which means overstocked goods. Today, Overstock is a billion-dollar business selling everything from designer brands to exclusive handmade goods and have had to shift their advertising and branding as they’ve grown. They decided to run a series of video ads using Instagram Stories to promote their brand, reach new customers, increase their reach online, and ultimately increase sales with a positive ROI. Overstock’s marketing team were well aware that a lot of shoppers remember how Overstock started out selling surplus goods. They wanted to change perception while promoting their brand as most of their business now comes from new items. To do this, they opted to run some vertical ads using Instagram’s Storie format. They used bold colors, large font’s stating how they stock new items and used some special effects to fade in and out of different images. They were able to target only women in the 25-54 age bracket and other viewers that have an interest in furniture, home decor, and other relevant interests. This meant that their ads were reaching people that mattered. Potential new customers and influencers that would spread the word. 18% increase in return on ad spend. 20% decrease in cost per acquisition. 20% decrease in cost per click. The results speak for themselves, an 18% return on ad spend is a huge win and means there is limitless potential to scale up and run further ad campaigns. Most of us know Lacoste for their polo shirts and their simple but recognizable crocodile logo. There is a lot more to the Lacoste brand, however, and they wanted to raise awareness of their bath and bedding products in particular through Instagram Stories and Carousel ads. Instagram is the perfect platform to do this. With a billion active users craving quality images, video content, and actively looking for products, showing their high-end products to the right viewers is a recipe for success. Lacoste opted to use carousel ads as they allow the user to tap through 3-cards, swiping back and forth and spending as long as they wish on the content. This allowed them to showcase a number of their bath and bedding collections, and if something caught the eye of a viewer they could spend some time looking at it. It also allowed them to tell a short story and paint a picture of what certain bedding items will look like matched up with different types of decor. A sure way to increase conversions and engagement from viewers. 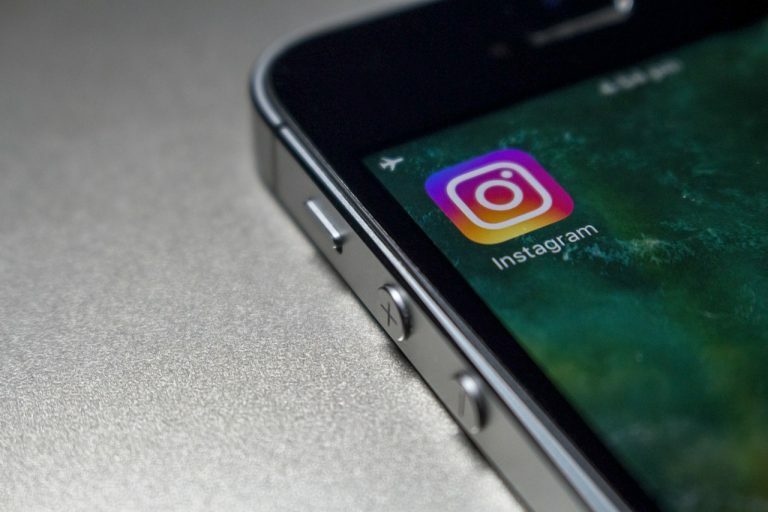 Using Instagram’s filters they were also able to serve their ads up only to women between the ages of 25-54 living within 25 miles of 6 major US cities, and people who had an interest in their products minus those who had recently purchased from them. 2x higher online return on ad spend. 32% lower cost per link click. 61% lift in click-through rate. Stacking the results up against other digital formats showed they were putting their money where the best results were. It also shows that if you understand your audience and know how to narrow down who you want to see your ads you can return a positive ROI on Instagram. These are just three of the endless success stories businesses have found on Instagram. If you’re not producing images, Stories, and other quality content, then serving it to demographics most relevant to your business you’re leaving money on the table. Instagram is a powerful marketing platform, all of the tools you need and customers are already there. If you’re looking for somewhere to invest that marketing budget our advice is to give Instagram a try.